By Christine Amorose | October 26, 2018 | This post may contain affiliate links, which means we may receive a small commission, at no cost to you, if you make a purchase through a link. Read our Disclosure. 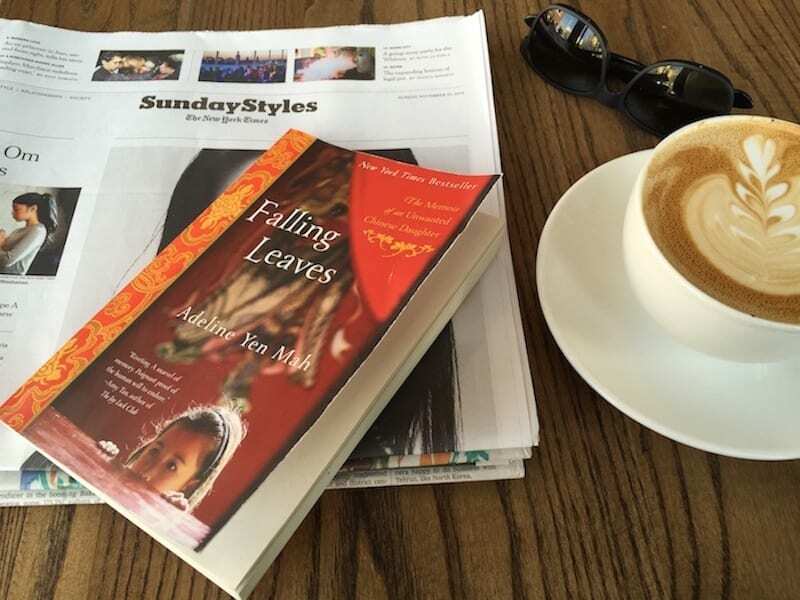 To be honest, I fell in love with café culture in Australia: living in Melbourne showed me just how good coffee can be, and how seriously excellent baristas take their craft. To my extreme pleasure, there’s been an influx of Australian-run coffee shops in NYC in the last few years. And nationalities aside, it’s encouraged all cafes to up their game in coffee, food, and ambiance. 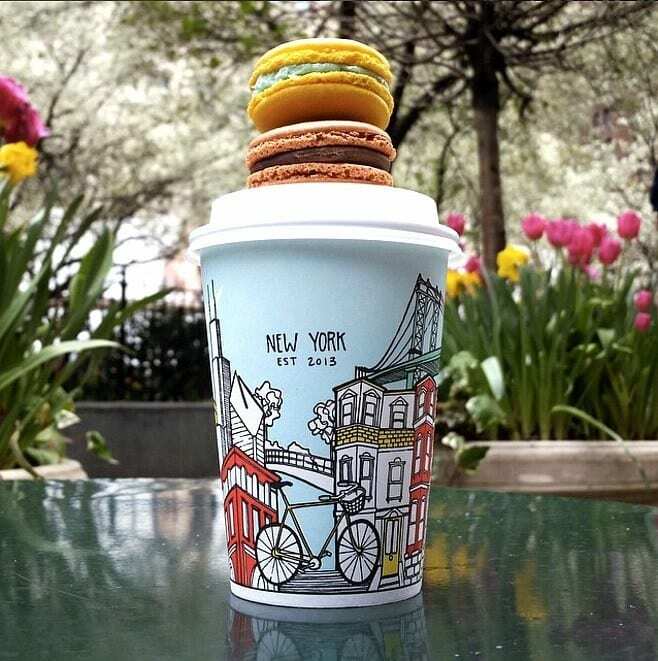 Although you can find a Starbucks on almost any corner in Manhattan—luckily, still less frequent in most of Brooklyn—skip the chains and tuck into one of the NYC coffee shops that the locals love to frequent! 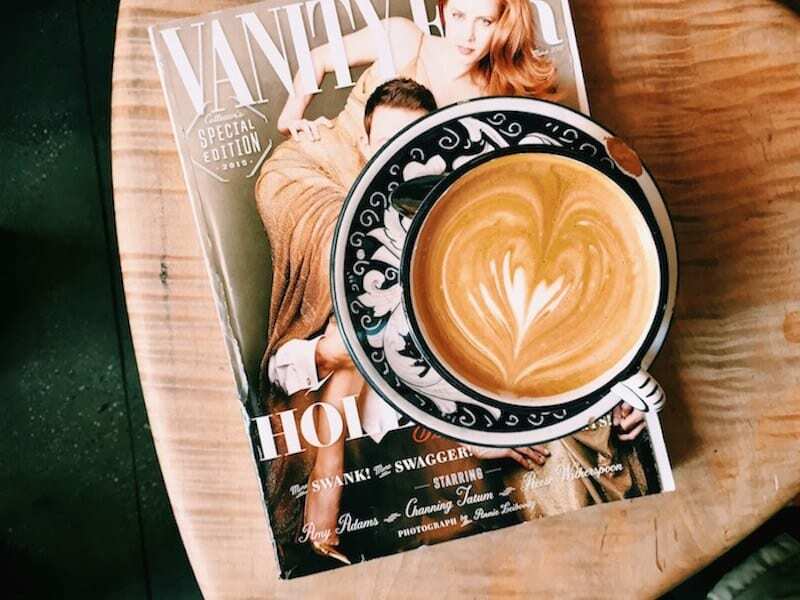 Below are my 16 best coffee shops in NYC for when I need an early-morning caffeine jolt, a sunny window seat to read a book, a spot to catch up with a friend, or simply a place with a killer playlist and decent wifi. Although the vibe and offerings differ at each, one thing is guaranteed: excellent coffee, made by baristas who know what they’re doing. Named after Heath Ledger’s break-out film, this NoLita café is owned by a couple of Sydneysiders. I think they do the best avocado toast in the city, and you can indulge Aussie peculiarities like a Tim-Tam Slam or a perfectly spread layer of Vegemite on your toast here. Two Hands also functions as an art gallery, with rotating prints on the walls and regular private opening parties. One of the coolest and best cafes in NYC. There are two things that I love most about La Colombe. In the summer, they have lattes and iced coffee on draft—they’ll combine both to do a coffee version of a Black and Tan, which is to die for. And in the winter—aka cappuccino season!—the selection of colorfully designed porcelain mugs and plates always brightens my morning coffee and croissant. 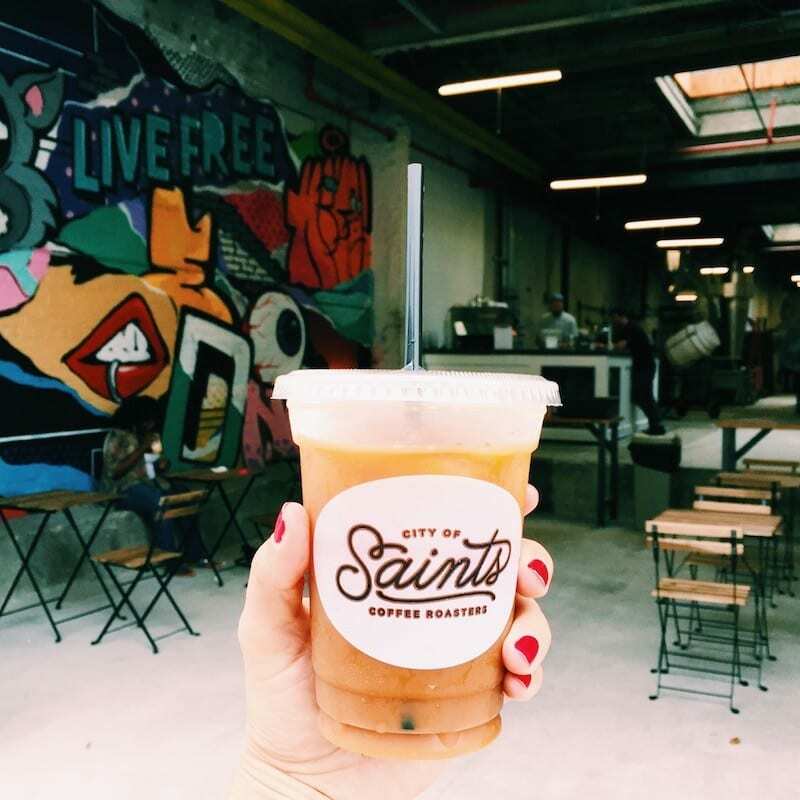 Bushwick is known for its colorful murals and wide array of street art, and the City of Saints coffee shop embraces the neighborhood vibes. The recently-opened cavernous space features plenty of skylights and a lively graffiti wall mural. 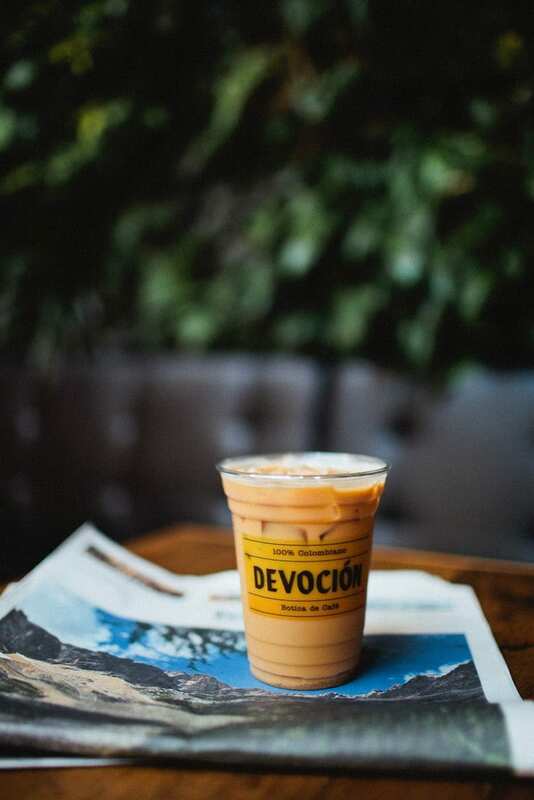 One of the newer additions to the Williamsburg coffee scene, the Devocion’s understated black exterior gives no hints to the sunny oasis that lies within. A vertical green garden covers the back wall and an enormous skylight lets in enough sun to require daffodil-yellow umbrellas over the tables in the afternoon. 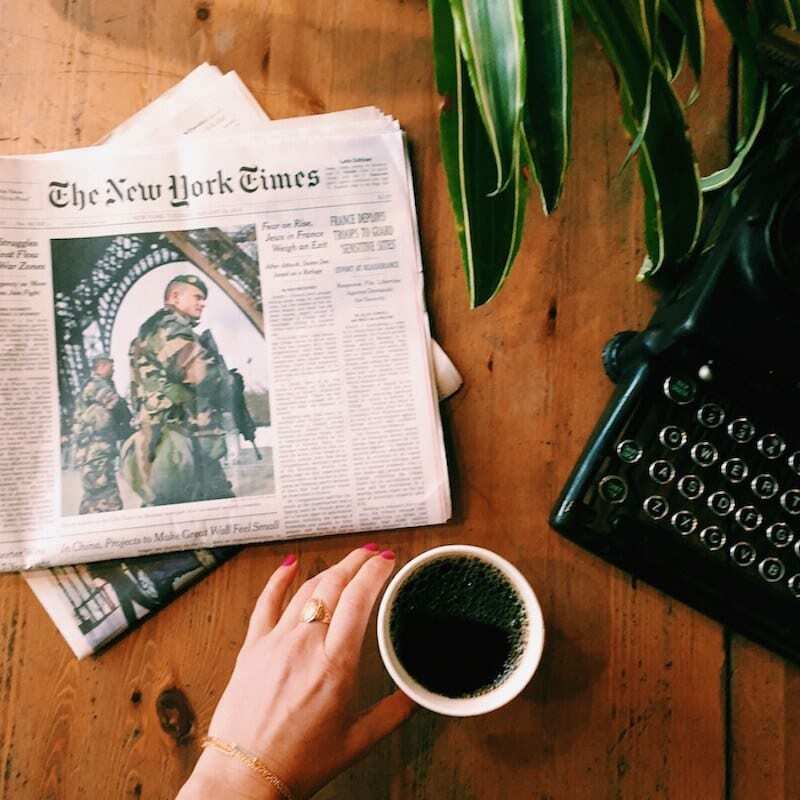 Grab a coffee, a newspaper and a croissant and while away the day in the sunshine. 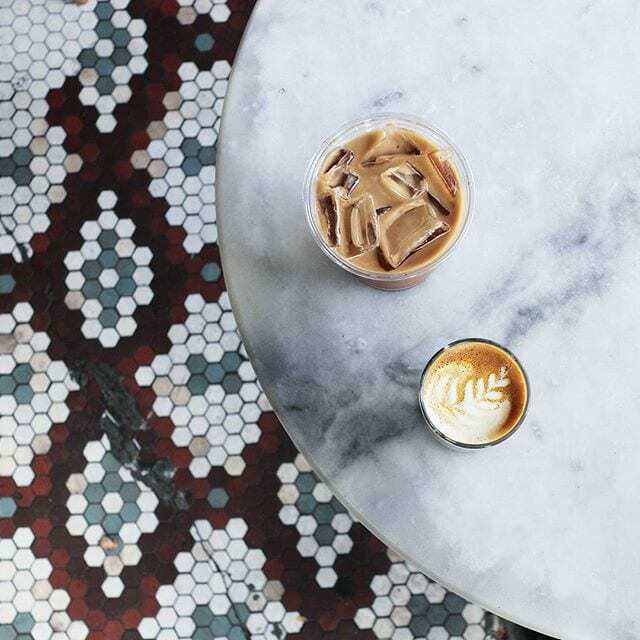 The chipped tilework is a favorite of #ihavethisthingwithfloors fans, and the overall atmosphere in this East Village café is cozy, welcoming and imperfect. There’s a regular stream of regulars who come through for a takeaway coffee in the morning, and their interaction with the baristas is great for people-watching. 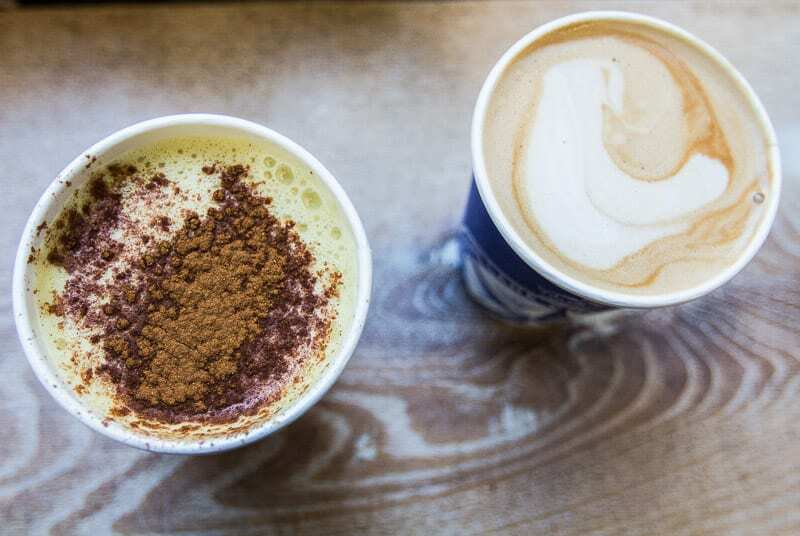 This Scandinavian coffee shop in NYC has two locations in Williamsburg: the one on Bedford Avenue is perfect to grab and go, but I prefer the spot on Roebling Street. There isn’t any wifi, but there’s always a New York Times on the communal table and usually a group of Brooklyn old timers hashing about the good old days. Bonus: the day’s horoscope is always posted on the espresso machine so that you have something fun to read while you wait! This Kiwi-owned joint in SoHo is a long-standing favorite. 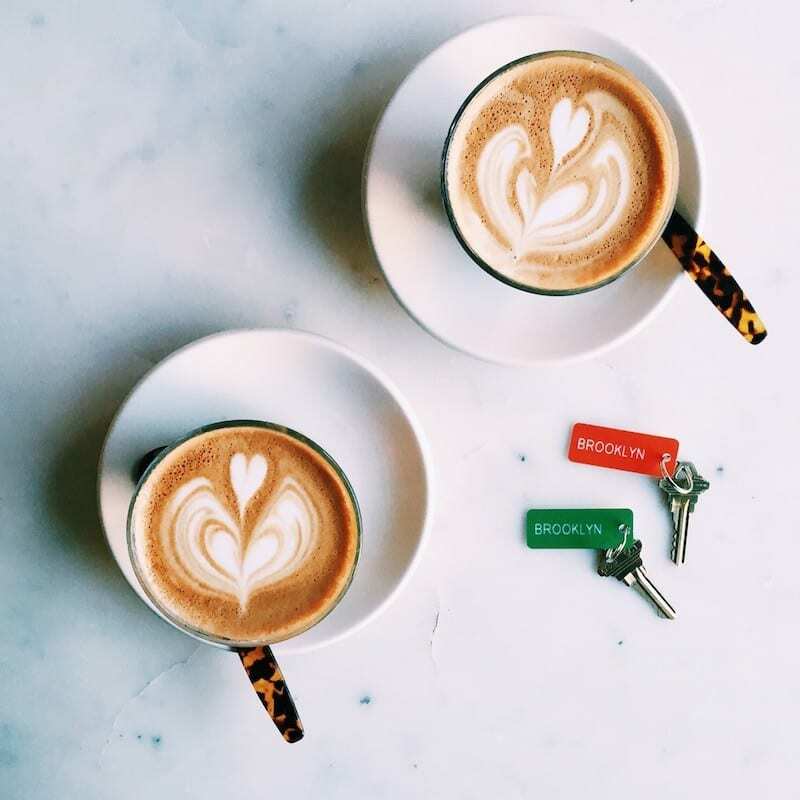 Happy Bones exploded in Instagram fame by featuring adorable leopard print espresso spoons: too popular in fact, in that people stole all the spoons. They used to sell them, and I actually bought a set of four—and I’m so glad I did get a souvenir from one of the best coffee shops in NYC. Photo-staging opportunities aside, the coffee is good and the baristas are always friendly. Sweatshop is a compact but thoughtfully-laid-out café is the front for the design studio that operates out of the back; at this laid-back spot, Australian designers double as baristas. The coffee is top-notch, and the Vegemite-and-cheese toastie is a boon for homesick Aussies. And there are just too many photogenic design elements to mention! Tucked into the High Line Hotel in Chelsea, the Intelligentsia coffee shop in NYC is open to the public as well as guests. 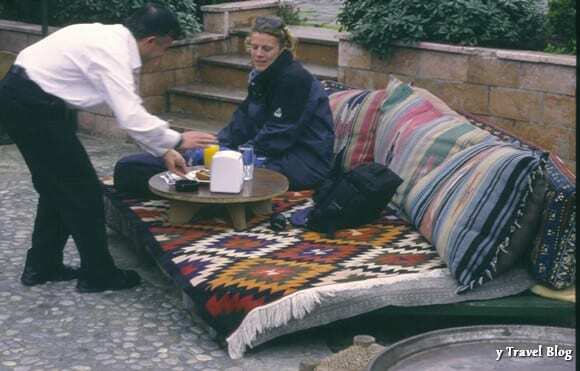 During the summer, it has a pop-up truck in the courtyard strung with fairy lights so that you can enjoy your coffee en plein air. And when the weather won’t cooperate, the permanent spot inside the lobby has old-world design touches and excellent LA-roasted coffee. A hipster anomaly in gritty Bed-Stuy (although perhaps a harbinger of the gentrification that’s sure to come, for better or worse), Stonefruit Espresso is a sun-soaked gem. My personal favorite element is the travel nook in the back, with a giant globe and a book exchange—although a close second is the upstate apple cider available hot or cold in the fall. Originally from Australia, the first Toby’s Estate opened in Williamsburg a few years back. 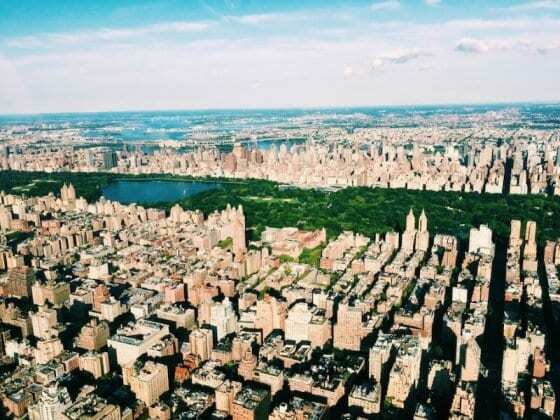 Its popularity exploded among hipsters and trendy tourists as the neighborhood became more popular, encouraging new locations in Flatiron and West Village. Although Williamsburg is the largest and offers barista classes and regular coffee tastings, my favorite is on Charles Street. Nestled among the shady, brownstone-lined streets, the window seats offer prime stylish people watching—and the avocado toast and granola bowls are the perfect start to the day. A San Francisco institution, Blue Bottle expanded to the East Coast so you can get their coffee in NYC with locations in Chelsea and Williamsburg. Known for their sugary-sweet New Orleans iced coffee and excellent pour-over options, Blue Bottle is the purist’s choice for the baristas’ encyclopedic coffee knowledge. A neighborhood staple, Blind Barber functions as a trendy barber shop all-day, and a place to grab a coffee in the morning and a beer with friends in the evening. Although the sunny tables a favorite for digital nomads during the week, the enforced no-laptops-on-the-weekends rule encourages a convivial brunch vibe. One of the more unique coffee shops in NYC. 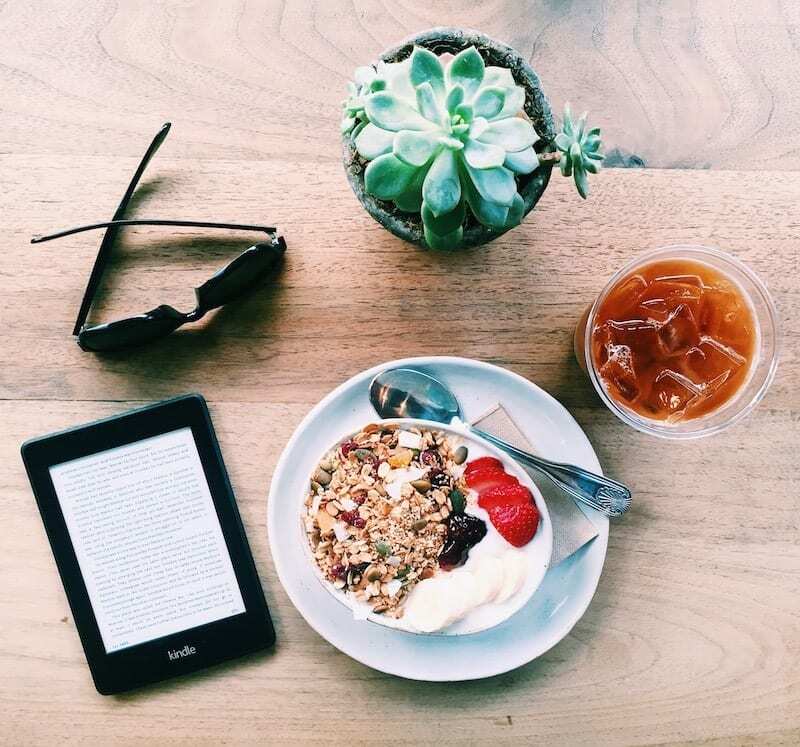 I’m a sucker for loyalty cards, book exchanges, and trivia—and Birch offers all of that and more. I especially love the “trivia tip jar”: every day, a question is written on a chalkboard with two possible answers—and you can put your tip in what answer you think is correct. With a few locations scattered around Manhattan, I love the neighborhood feel on Sixth Avenue and 14th Street: the few high tables are usually full. 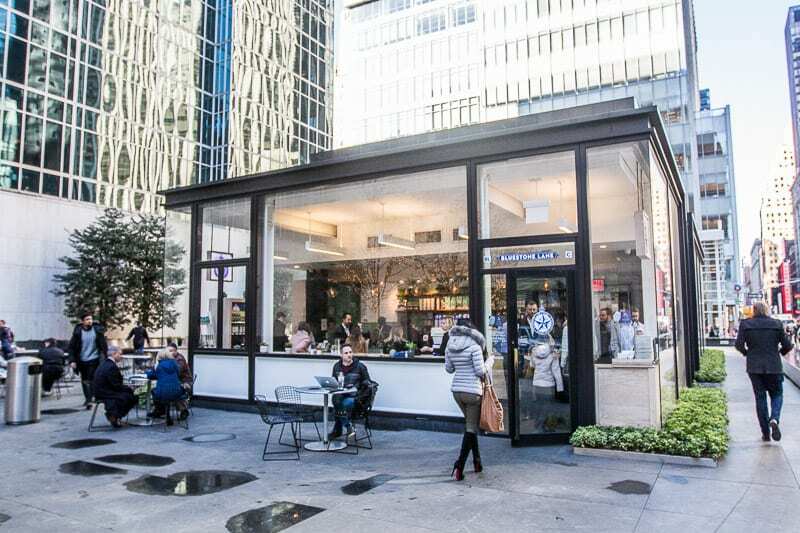 Australians take their coffee seriously as consumers and barristers, and the Australian owned Bluestone Lane is influenced from the renowned coffee culture hub of Melbourne Australia, where premium coffee is a way of life. 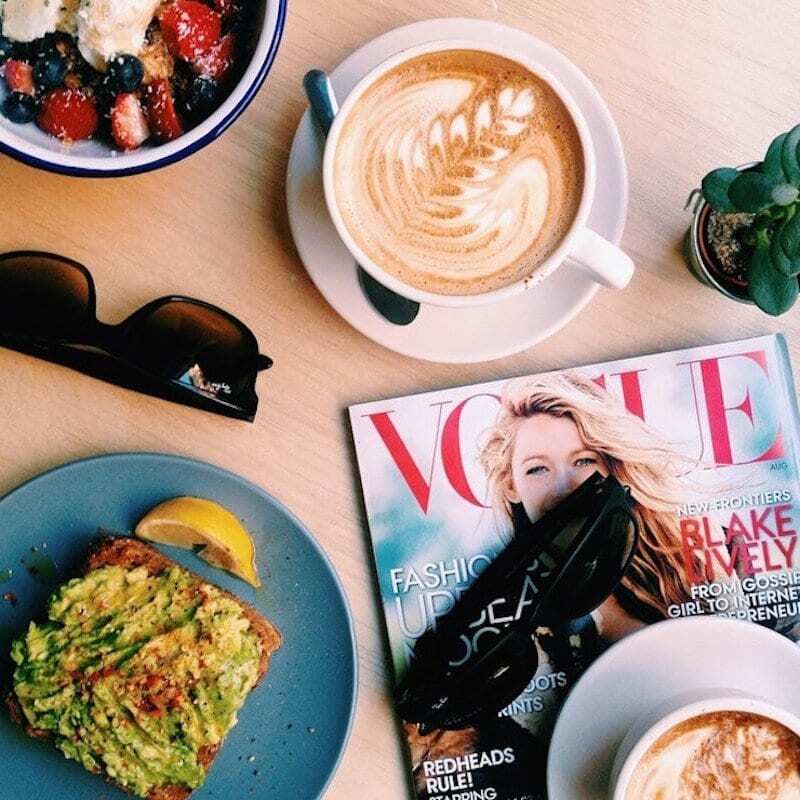 So if you’re craving a great flat white, espresso, latte, golden spice latte, or maybe even some vegemite on toast, a lamington or smashed avo on toast, pop on in for one of the best coffee shops NYC. Locations in; Bryant Park, Times Square, Financial District, Garment District, Midtown East, Astor Place, and Dumbo (Brooklyn). 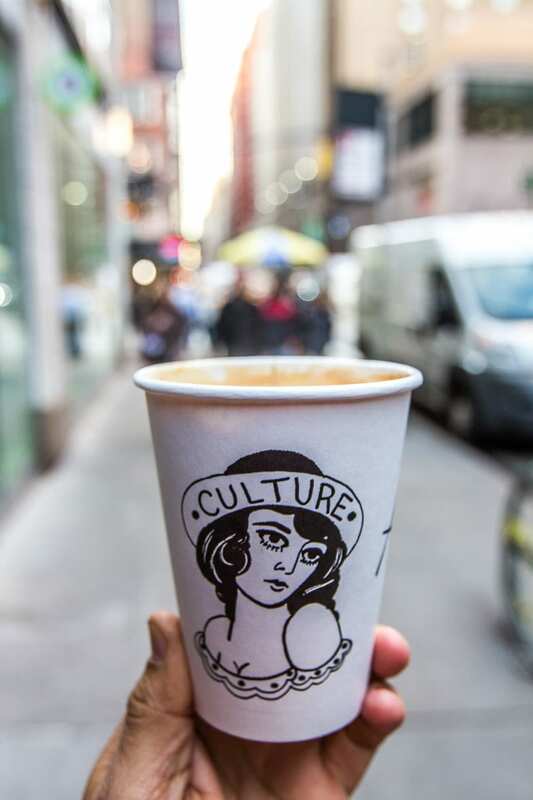 Independent and privately owned, Culture Espresso make seriously good coffee paired with an assortment of baked goods. It’s a tiny coffee shop, but a real locals cafe in the heart of New York close to Bryant Park and some of the best coffee in NYC. Can you suggest any coffee shops in NYC? Please share in the comments below. Nice list. Another one I would add is Lenox Coffee in Harlem. Personally I need to explor the NYC coffee scene more because I spend way too much time at Starbucks (blame it on convenience and their loyalty program). I recently went to the NY Coffee Festival and saw a bunch of places that I want to explore. Thanks for the suggestion on Lenox Coffe Chanel. Thanks for the so many list of coffee shop you shared. I need to try at least one or two of these on my next visit to NYC. Surely this I can’t missed on my next travel. Queens also has some great coffee shops (though I’m not a coffee drinker myself but I hear this from coffee lovers). Queens Kickshaw, Sweetleaf, Madame SouSou and Gossip Coffee in LIC and Astoria are a few that come to mind. Thanks for the recommendations in Queens Taucha! Great post, and so accurate! (In my opinion.) Was just talking about Two Hands with my friends yesterday. The BEST! Part of the reason I love going to New York is that there are essentially more amazing places to grab a cup of joe than I can ever make it to. Awesome coffee shop scene! Thank you Christine for putting this list together. I will visit here whenever go to respective places. Thank you Christine for the implementation of this list together. I will visit here whenever to go to the respective places. Thanks for the beautiful Blog.Really useful list. 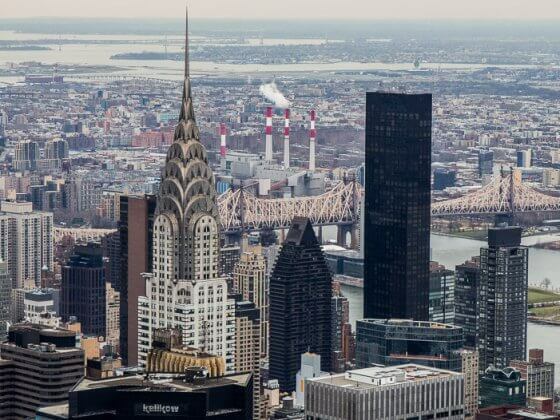 Heading to NYC in July so I find your list very helpful! Thank you so much- can’t wait to try them! Bookmarking this for our upcoming NYC trip in a few weeks! 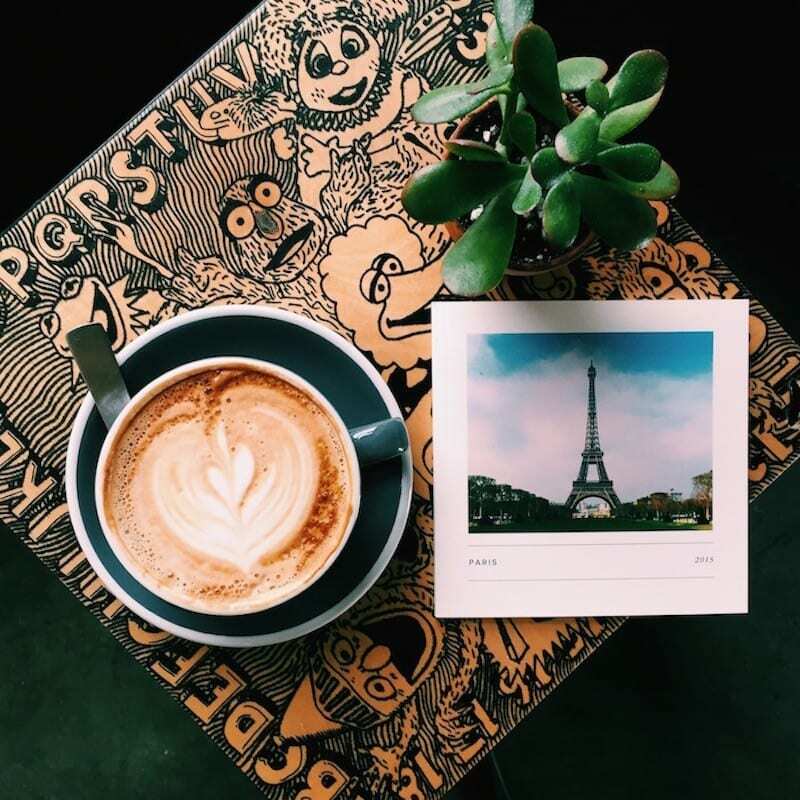 We love to just get lost and find coffee shops to chill in and take in the sights. Thanks for the suggestions! 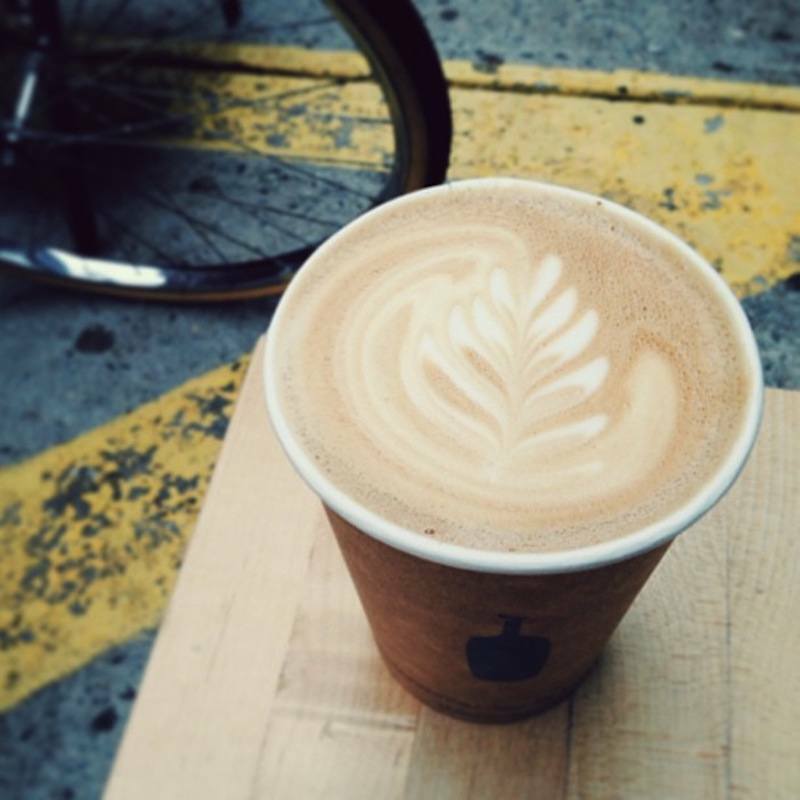 Try Breukelen Coffee House on Franklin Avenue in Crown Heights! Tons of coffee shops on this street from the Lazy Ibis to the Bagel Pub but Breukelen definitely has some of the best coffee! Heading to the city for 8 days on business and am determined to try out as many as possible! Such a great post – thank you!! Sounds good Cassie. Enjoy. 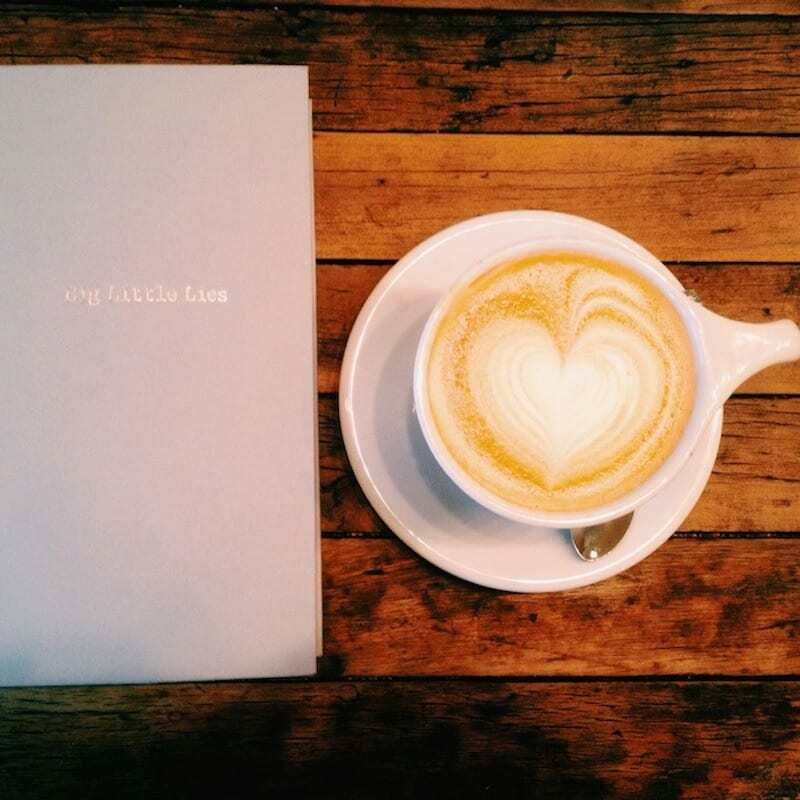 I’m sure the list of coffee shops in NYC is endless, but these are a great start! 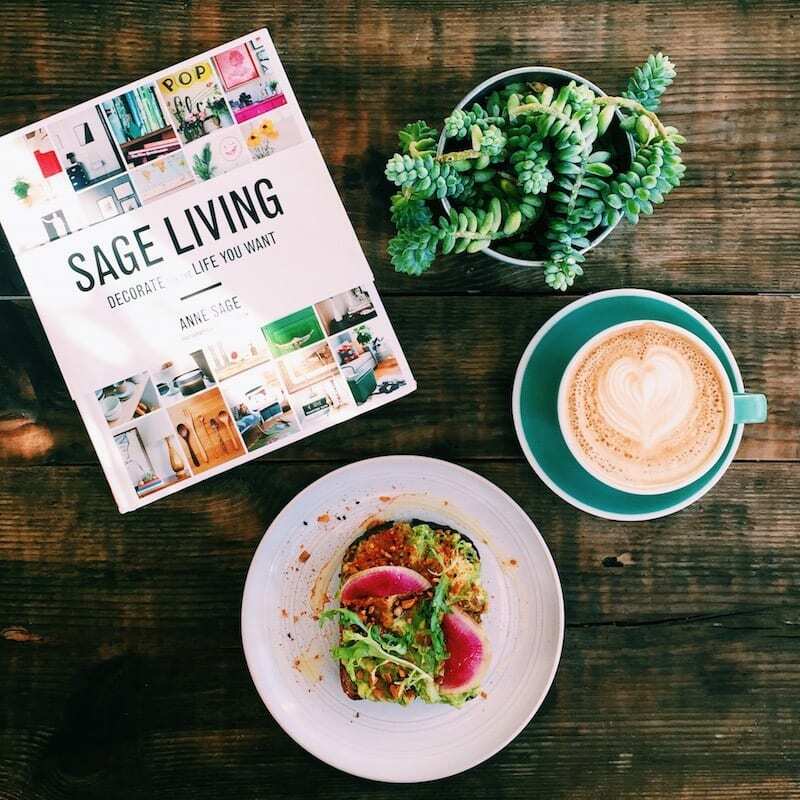 Wow just when I think I’ve been to all the top coffee shops, I find this list with so many I haven’t been to 🙂 Can’t wait to check these out! Some of my favourites included Maman (Little Italy), The Elk (West Village), and Blue Stone Lane (Upper Ease Side location). Glad you found this list Kate. And thanks for your suggestions on coffee shops in NYC!